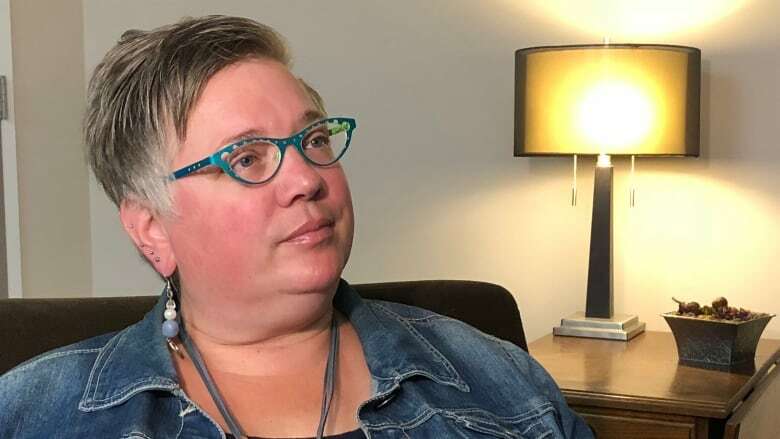 As staff struggle to provide service for an overwhelming number of calls from people seeking help, the Halifax organization is temporarily not adding new counselling cases to its wait list, said executive director Jackie Stevens. As staff struggle to provide service for an overwhelming number of calls from people seeking help, the Avalon Sexual Assault Centre in Halifax is temporarily not adding new counselling cases to its wait list. "We've been trying to not turn people away and as a result, other people have had to wait," said executive director Jackie Stevens. "We realized that we have to focus our intentions on people who've been on that wait list." The number of new calls for counselling is increasing faster than staff can keep up with. There were 112 people on the wait list as of Monday, when Avalon officially stopped adding new cases. Some people on the wait list have been waiting for more than two years, and staff can't even give accurate wait time estimates any more. Stevens emphasized that once Avalon can reduce the number of people waiting, staff will evaluate when they can start adding new cases to the list again. "The counselling services are only temporarily not available to new callers," Stevens said. "People who are already accessing services here and people who are on our wait list will have access to counselling services." The centre will continue to give out information and referrals, as well as administer the Sexual Assault Nurse Examiner (SANE) program, which does medical follow-up and collects forensic evidence. Stevens said statistics across Canada show that people are coming forward to report sexual assaults in higher and higher numbers. She said this shows the need for Avalon's services, but appealed to the public and to organizations that have traditionally worked with Avalon to find longer-term solutions. This is the first time in 23 years the centre has had to close its waiting list. "Certainly funding will be a priority, continuing to work with funders and with our community partners to explore resources and funding," Stevens said. "But one of the challenges is, this has been an ongoing issue for us." Stevens said Avalon first noticed a big increase in the number of people seeking counselling after the death by suicide of Nova Scotia teen Rehtaeh Parsons, who said she had been sexually assaulted and was relentlessly cyberbullied with a picture taken on that night. "All of the high-profile events that have happened since, where we've seen a steady increase in people accessing services, us and other organizations [are] being stretched beyond our capacity to respond," she said. Stevens said that the organization has hired more counselors and now has a total of six, but hiring more counsellors only helps stem the demand for a little while. She said wider problems include the lack of specialized sexual assault services in Nova Scotia, which would go a long way in taking the pressure off services such as Avalon if they were more widely available. Stevens also said one of the top requests Avalon receives is for advocacy within the legal system, but Avalon hasn't had sustainable funding since 2015 for legal support. She called on others to think about where else people can access this type of help. "It takes the burden off organizations to try to be providing services outside of their mandate, and they can focus on providing the services effectively that they do provide," she said.